As a teenager brimming with testosterone my reptilian brain loved action movies. Top of my list were Steven Seagal movies. Clearly it wasn't for his acting skills, which are only marginally better than Barney the dinosaur. What I loved about Seagal was that he was both deadly and terribly fast. A study by GoEuro, compares the cost of travelling 100km by train. 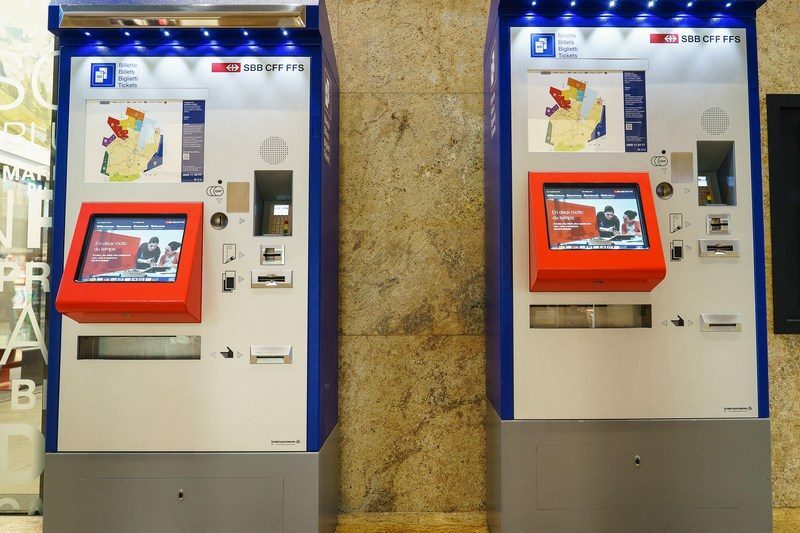 Switzerland led the ranking with the most costly train trips in Europe. Travelling 100km in Switzerland cost CHF 52. It’s a sign the world is getting used to negative interest rates when what once seemed bizarre starts looking like the norm. 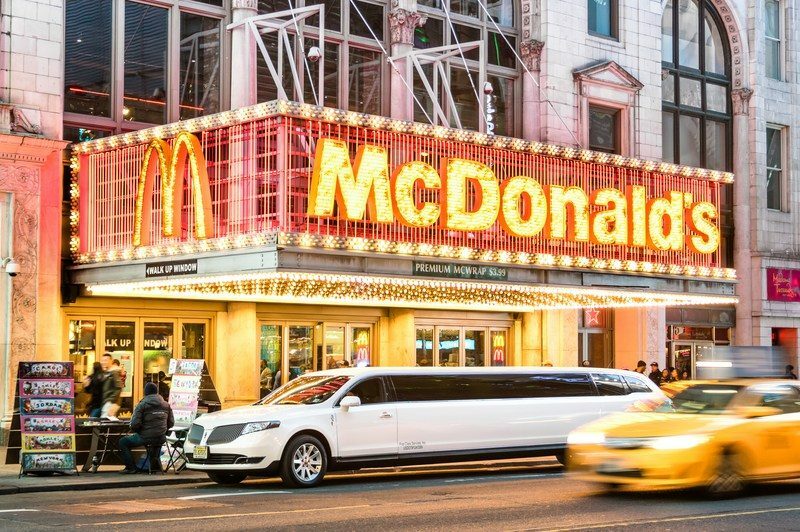 Consider Switzerland, where more and more companies are taking out insurance policies to protect their cash hoards from theft or damage. 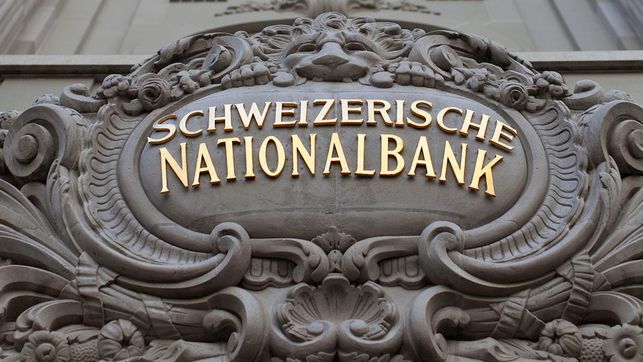 Swiss National Bank President Thomas Jordan keeps saying the franc is “significantly overvalued.” And that’s despite the central bank’s record-low deposit rate and occasional currency market interventions. 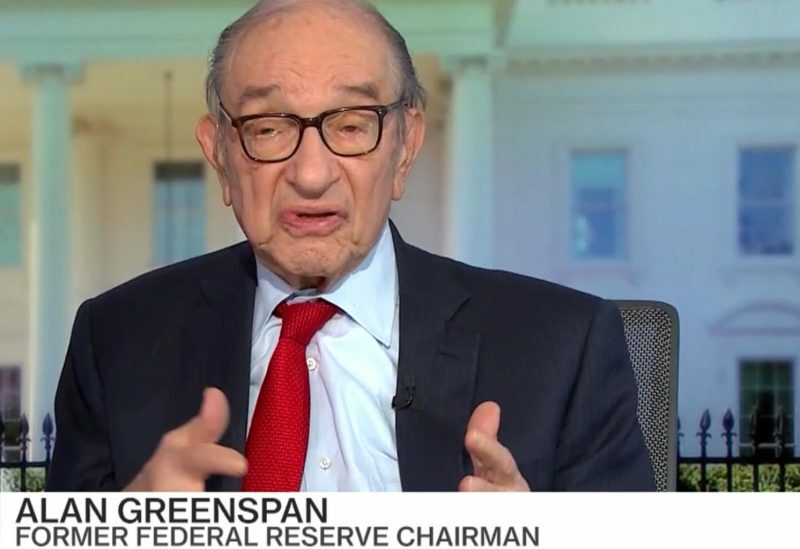 For Alan Greenspan, negative Yield Reflect Spread between Italian and Swiss Bonds. For him, bond prices in general have risen too much. 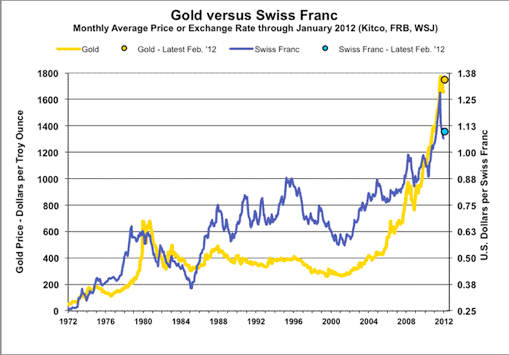 Many people think that Switzerland is related to gold due to its inflation-hedging safe-haven status. Historically this is true. With rising U.S. inflation in the 1970s gold appreciated to record-highs. 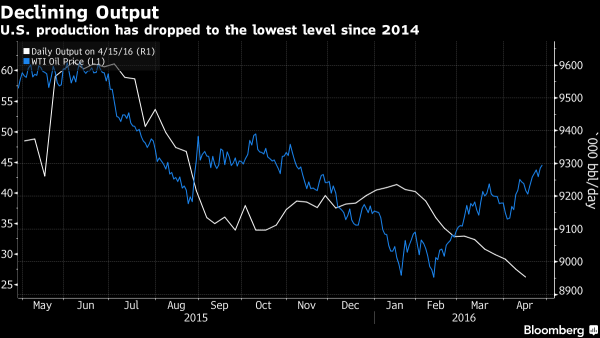 So did the German Mark and even more the Swiss franc, that maintained low inflation levels. A big part of Swiss consumption is imported from Germany. Therefore Swiss inflation is often correlated to German inflation. Capital flows often move to Switzerland and Germany at the same time. 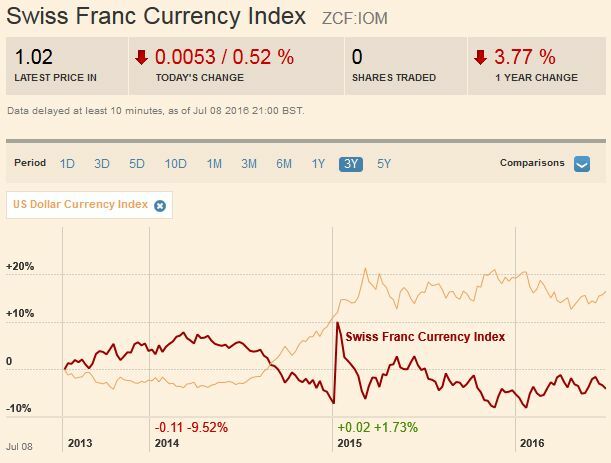 On a three years interval, the Swiss Franc had a weak performance. The dollar index was far stronger. 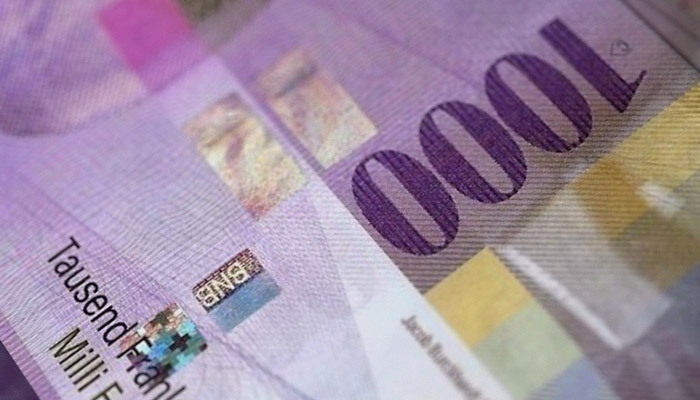 Contrary to popular believe, the CHF index gained only 1.73% in 2015. 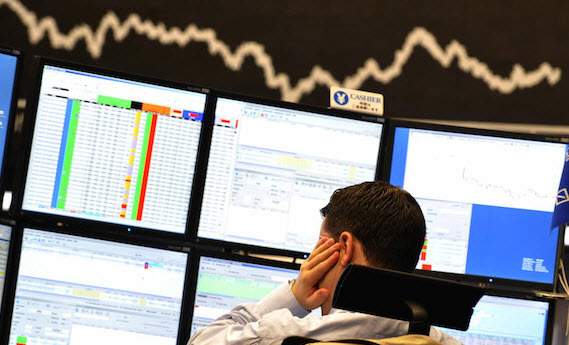 It lost 9.52% in 2014, when the dollar strongly improved. 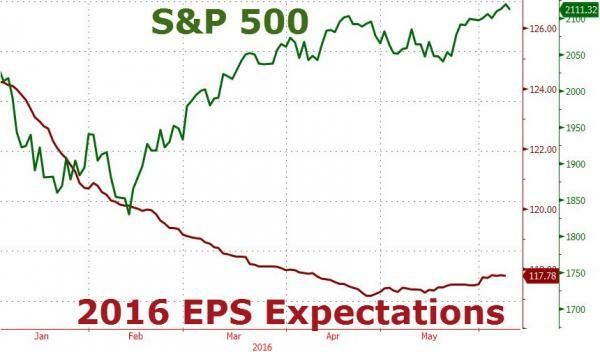 Graham Summers says that central banks have lost control and investors are crazy. 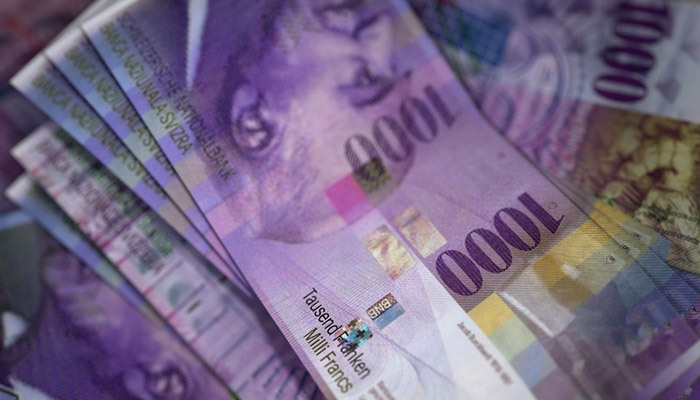 They pay the Swiss government for the right to own their bonds. 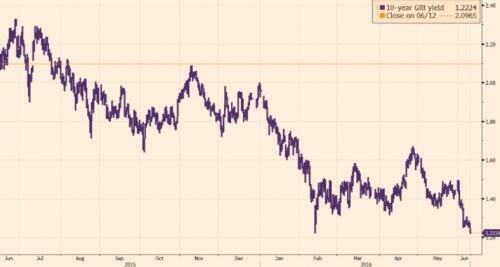 One point is missing: Swiss rates are "more negative than others", because investors expect a slow appreciation of the Swiss franc. 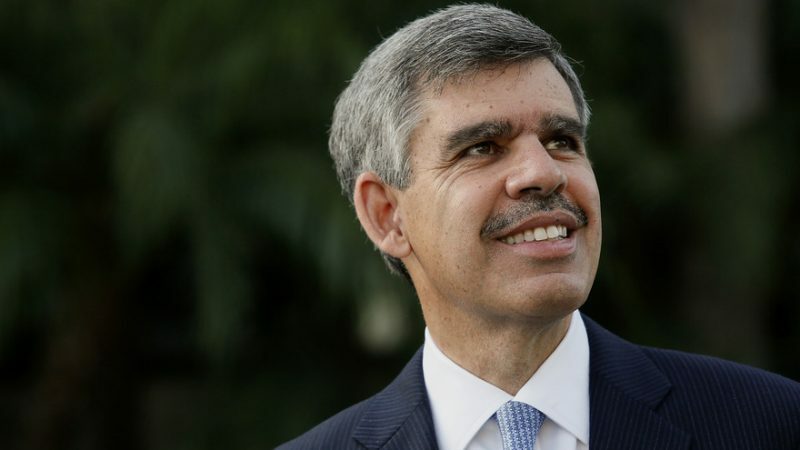 Mohamed El-Erian, chief economic adviser at Allianz Global Investors. 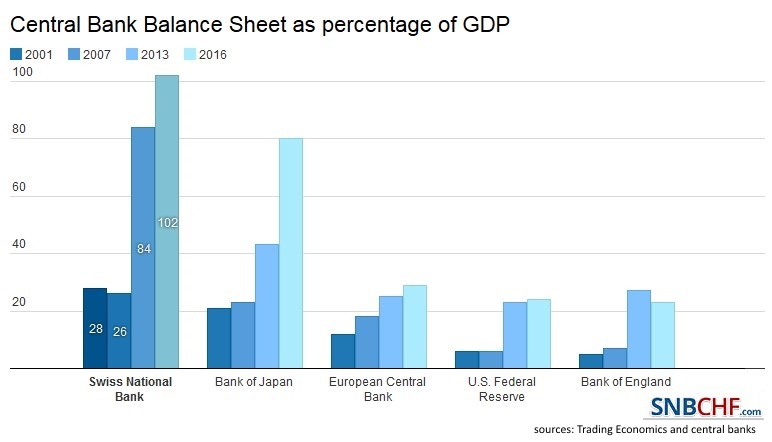 says that Investors shouldn’t underestimate the role of cash in their portfolios We should add that the Swiss Franc is one of the most important havens for holding cash. 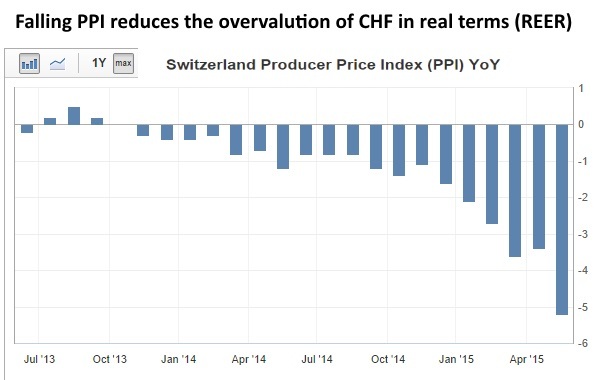 Purchasing Power Parity, REER: Swiss Franc Overvalued? One of the rising laments against NIRP is that far from forcing savers to shift from cash and buy risky (or less risky) assets, it has done the opposite. Intuitively this makes sense: savers expecting a return on the cash they have saved over the years are forced to save even more in a world of ZIRP or NIRP, as instead of living off the interest, they have to build up even more prinicpal. Anyone wondering why gaps and volatility in FX, and especially cable is reaching on the absured today, with 100 pips swings in minutes the norm, the reason is that there is virtually no liquidity. The German Bund chart is very important for us, because the Swiss franc is negatively correlated to German government bond yields. 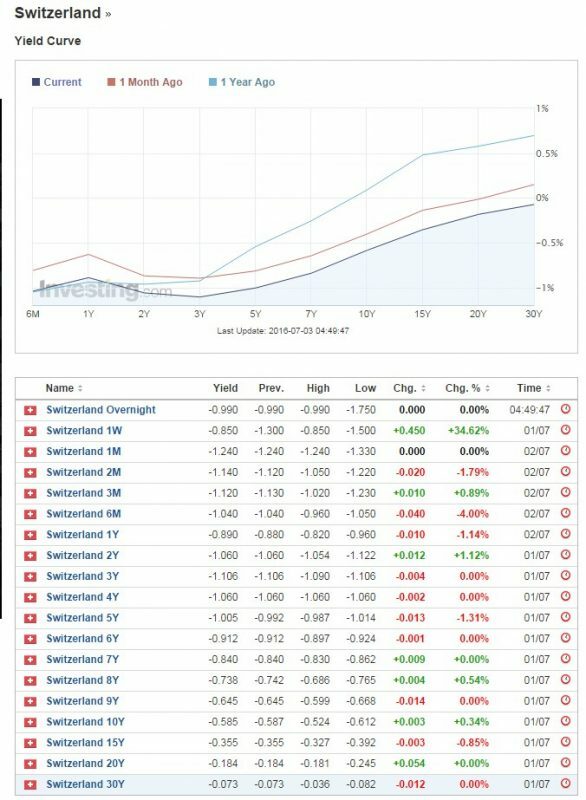 The lower Bund yields, the stronger the Swiss Franc. 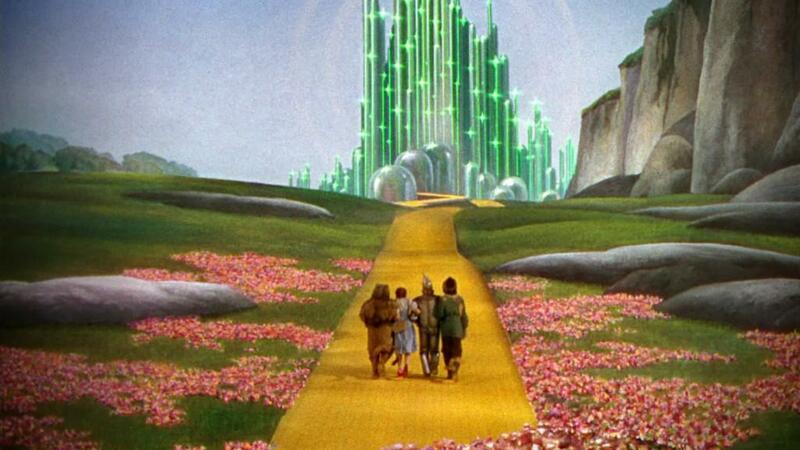 When European governments and the ECB are ready to pay higher interest rates, then CHF depreciates. 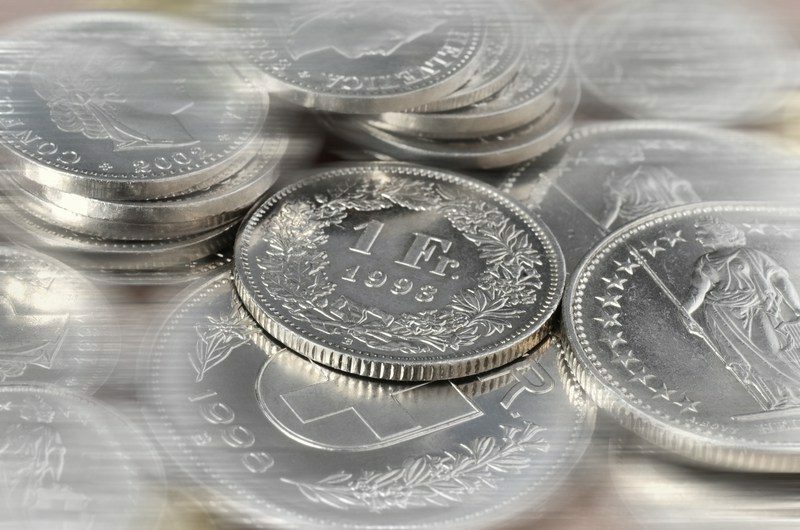 Need Safe havens: CHF or Gold? 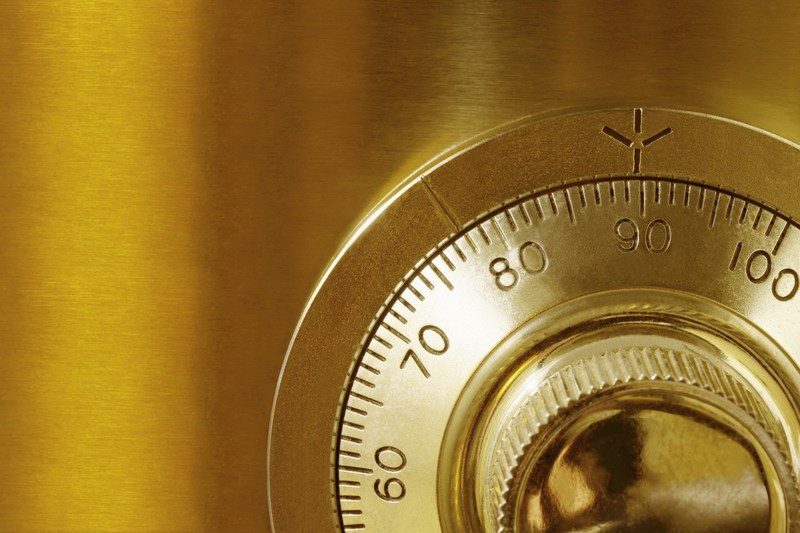 In times of negative interest rates and falling earnings per share, gold is the ultimate safe haven. 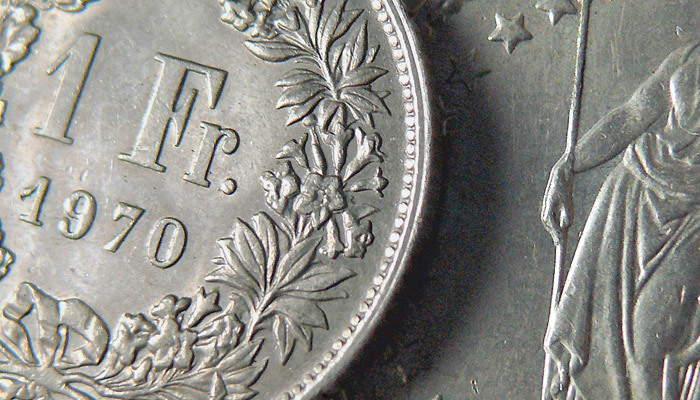 Due to negative rates, it is not the Swiss Franc. 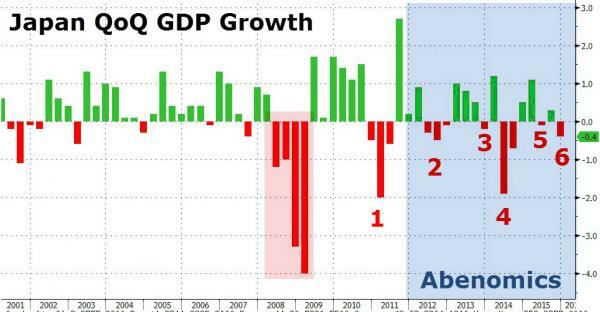 For George Dorgan the "Swiss Franc Shock" celebrated by the Swiss press did not affect the Net Exports component of Swiss GDP, but it rather suppressed growth in consumption. Therefore the Swiss economy could not replace lost export jobs by new jobs in the internal economy.